In an age of cinema characterised by 100 million dollar budgets, cataclysmic special effects and reboots, it’s a welcome sight to witness a film that never leaves the stuffy confines of a BMW and never deviates from the angst ridden Tom Hardy driving it. 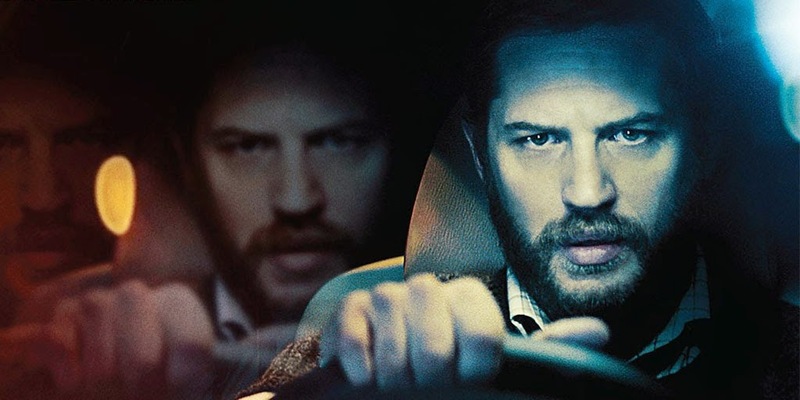 Directed and written by Steven Knight the film draws on his prolific history of gritty English screen plays for Locke, while the film doesn’t lean on the criminal dealings of Eastern Promises or Dirty Pretty Things it takes plenty of cues from the humanistic protagonists of Knight’s scripts. With an adept script writer behind the camera and a versatile cult hero in Tom Hardy leading the line Locke had all the potential to be one of 2014’s best creations, following in foot prints of minimalist successes like Moon, Rope, 127 Hours and Sleuth. Rather than being a gripping thriller supported by a sufficient haze of mystery to keep audiences intrigued for the drive, is one long scene that fails to build on the opening gambit that protagonist Ivan Locke (Tom Hardy) has found, or placed, himself in. The script is original and the acting from Hardy undoubtedly excellent, but rather than a crescendo of speed dicing with death we’re left in the slow lane unable to get out of 3rd gear, much like the law abiding Locke on his late night journey to London. Without giving the plot crux or twist, if you can call it that, away the film’s story is that construction foreman with an eye for detail and obsessive planning, Ivan Locke, is driving to London for an impulsive and desperate reason. Shunning his family and their ritualised watching of the football with German beers and sausages, Locke sets out to London with reasons unknown and time against him, his calm, composed exterior concealing bubbling fissures ready to crack his psyche. Of even graver importance to Locke than missing the football is the impending multimillion pound construction job happening the next morning, the biggest in Europe, his absence potentially costly both professionally and personally. Locke’s bizarre circumstance and plight are explained through the contemporary medium of hands free phone calls from his car to the concerned, unwilling participants in this melodrama. Ludicrously impersonal, but accepted as the norm in a world where technology facilitates (or hampers?) all human interaction, this increasingly concerning paradox is cleverly brought to the fore by Knight’s vision- Locke a glance at communicating crisis in the 21st Century. Locke’s supporting cast amounts to 5 or 6 core members, never seen, only heard which results in some mixed performances, at times the reality perforating idea that characters are merely actors in a studio elsewhere reading off a script feigning emotional concern seeps into the viewer’s conscious. Like the broken illusion of Oz’s wizard, Locke can’t quite masquerade as reality despite not being overly ambitious, sensationalistic or guilty of a weak script. 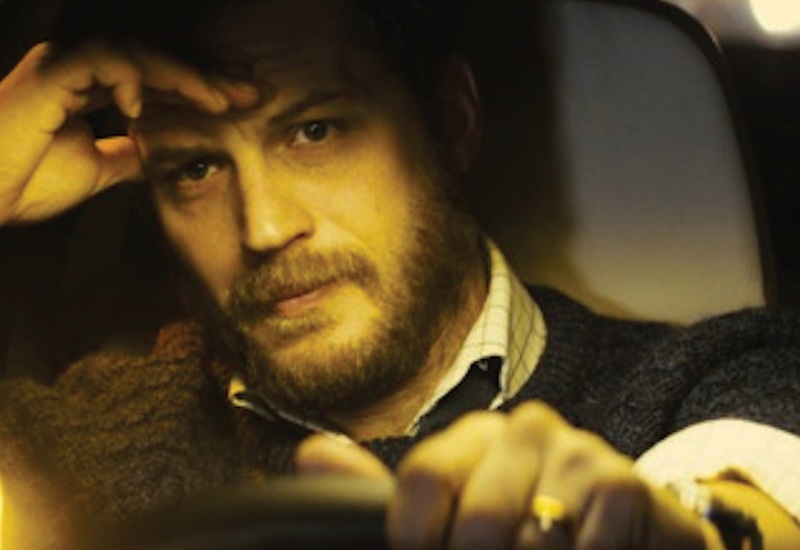 An inexplicable concern that the plot isn’t believable or true to life nags away as Locke’s drive powers on into the illuminating street lights of London’s outskirts. Tom Hardy can’t be placed at fault for this failure; his acting is precise and cultivated, providing Ivan Locke with enough depth, insecurity and caveats to be an intriguing chauffeur for the on board voyeurs. Locke’s existence crumbles around him, his decisions are morally and logically dubious yet to him they are sound choices, playing up to his egotistical code of honour forged out of his father’s lasting malice on him. With a few extra pounds, probably via his bushy beard, a Welsh-verging-on-German-or-South-African accent and a snivelling cold Locke seems a complete character, yet it’s that final trait, his cold, that doesn’t settle in me. So natural and well written the characters and dialogue is that it goes beyond the point of believability, as if the depiction of the mundane is so closely replicated from an objective stereotype of existence it can’t possibly resonate with us. It’s a case of attempting to make a world so real in Locke that it can’t possibly be. In addition to this Locke suffers from the terminal malpractice of film marketing. Whether the film’s fault or not, Locke has been billed as a thriller and therefore creates an assumption that it will be filled with mystery, tension and a heart racing sense of foreboding. The film isn’t an edge of the seat thriller, instead it’s a personal, well written, low key drama. The expectation of a thriller, dispelled within fifteen minutes of the film, destroys any momentum and emotional willing on the audience’s part for the following 70 minutes. The film never gets going, never grows in stature or gravity- the incidents and critical discussions are minor and insignificant ultimately. By the end of the 90 minutes Locke has run out of ideas, driving for several hours on the motorway isn’t fun in real life and on screen it’s marginally more enthralling, attested to by the piss poor stock music and filler motorway shots throughout. There’s an Iranian film called A Taste of Cherry, a likely influence on Locke, based solely in a car, the audience is a passive cast member in the passenger seat watching the driver as he roams the landscape in search of someone who will bury him for a handsome fee. The political, religious and social tensions are reminiscent of the bible’s Good Samaritan parable and provide an intriguing story with minimal panache. A Taste of Cherry, bar its divisive finale, manages to starve off the danger of boredom and repetition of existing solely in an automobile, Locke on the other hand drags without gravity or consequence. 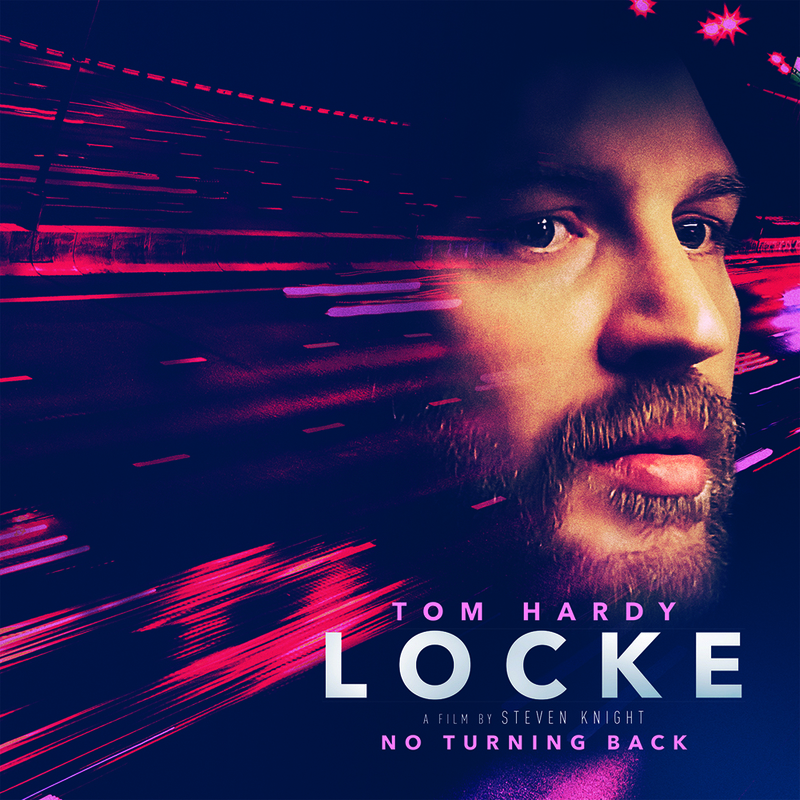 There’s real emotion clout in Hardy’s performance but for reasons that aren’t obvious it doesn’t quite work out, Locke should have been an hour long, one off television piece without the misplaced thriller tag. 5/10- Who Locked Me in The Car?